 William Free's Life in Australia. The Frees came from Haslingfield in Cambridgeshire in England. Haslingfield is a small village located some 5 miles south of the university town of Cambridge. The 1851 edition of 'A History, Gazeteer and Directory of Cambridgeshire' showed that Haslingfield's population at the turn of the century was 387. This had grown to 689 by 1841 and included the farmers William Coxall and William Finkell both of whom were probably related to William Free's mother Mary Finkell. Mary was born in Haslingfield on 2 June 1805. Her parents were John Finkell (1769-1847) and Elizabeth Harrop (1770-1851). Click here to see a complete listing of the known members of the Free, Finkell and other related families. William's father, Samuel Free, was baptised in the same village on 18 July 1802, the youngest son of John Free (1754-1824) and Alice Harper (1764-1855). He married Mary Finkell at the All Saints Church of England (pictured on the left) in Haslingfield on 18 November 1824. The marriage was witnessed by Sarah Susannah Smith, Elizabeth Finkell (probably Mary's younger sister although it could have been her mother) and the registrar John Pearse. The couple lived at Haslingfield after their marriage and until their deaths in 1879 and 1882 respectively. The UK censuses and National Probate Calendar indicate that Samuel eventually became a yeoman farmer and his wife Mary a midwife. William Free was baptised at Haslingfield in Cambridgeshire on 2 March 1829, the third of ten children. The 1841 census shows him, aged 12, living at Haslingfield with his parents and siblings: Mary (15), Elizabeth (12), John (8), Harriet (6), Sarah (3) and Ann (1). William married Louisa Chapman, the eldest daughter of George Chapman (1802-63) and Rebecca Dilley (1809-86), at the Haslingfield parish church on 16 November 1848. Their wedding certificate indicates that he was a bachelor shepherd aged nineteen years and she was a spinster who lived in Barrington. The marriage was witnessed by John Free and Jane Barnard where all parties signed the wedding certificate with a cross or mark. After their marriage the couple lived at Barrington where their first child, Rebecca Louisa Free, was born on 29 June 1849. The 1851 census showed William, aged 22, living at Barrington with Louisa (19) and Rebecca (1). The couple's second child, John, was baptised in Barrington on 13 April 1851. Two years later, William and Louisa and their two children emigrated to Australia from England on the Lady Kennaway under the British Government's assisted emigration scheme paid for from the proceeds from the sale of land in the colonies. It is likely they were recruited by Josiah Johnson who served as both an official for the Chesterton Union and an agent for the Colonial Land and Emigration Commission (CLEC). While the government paid for their passage out, either the union or the parish of Haslingfield probably helped them pay their application fee, purchase the clothes and other items they were required by the CLEC to take with them, and cover the cost of travelling from Cambridgeshire to the emigrant depot and departure port of Southampton. The Lady Kennaway sailed from Southampton on 9 May 1853 and arrived at Hobson's Bay at Port Phillip in Victoria on 15 August the same year.The family's subsequent life and times in Australia are described in Life in Australia. William and Louisa were not the only people from their extended family in Cambridgeshire to emigrate to Australia. Click here to read details about some of the other families who went. John was William's only other brother. Born at Haslingfield in 1832, he seems to have been married three times. His first wife was Ann Miller (1834-66) who came from nearby Barrington. They were married at Haslingfield in 1855 and had four children we are aware of: 1) Sarah Ann Free who married James Gordon at Cambridge in 1875 and had ten children; 2) William George Free who married Susan Mathews at Cambridge in 1887; 3) Samuel Free who was born at Cambridge in 1860; and 4) Emily Free (1864-1938) who married a letter sorter, William Benjamin Preston (1865-1931), at Shoreditch in London in 1885 and had four children all born at Islington. Following his first wife Ann's death in 1866, John, who had by then moved to Cambridge, married Lydia King (1845-1909) who came from Hardwick in Cambridgeshire. The couple's wedding certificate, contained on the Ancestry.com London parishes database, shows that they were married at the church of St Sepulchre in Holborn in London. John was said to be a licensed victualler and Lydia the daughter of the labourer John King. The wedding was witnessed by Jonathon Abbs and Mary Ann Claydon (John's younger sister - see below). John and Lydia lived at St Giles in Cambridge after their marriage and had at least two children there: Alice Elizabeth Free (born in 1871) and Mary Free (1874). Lydia Free nee King died at Cambridge in 1909. John, who was by then the proprietor of the Plough and Harrow Inn on Madingly Road, re-married the following year, to an Alice Benton. The UK National Probate Calendar shows that Alice was the sole recipient of John's will following his death at St Giles on 3 October 1915. Harriet was born at Haslingfield in 1834 and married the farmer and publican James Coxall (1831-1910) at Haslingfield in 1856. The parish registers show that the marriage was witnessed by Philip Morris and his future wife, and Harriet's younger sister, Sarah Free. Harriet and James lived all their lives at Haslingfield and, like Harriet's parents, had ten children there, three of whom - Selina Ann (1856-8), Walter Frederick (1862-3) and Isobel Free (1864-5) - died early. James Coxall died at Haslingfield in 1910. His wife Harriet pre-deceased him by 13 years and according to Peter Coxall appears to have died in mysterious circumstances: 'Her bonnet was found floating in the village well on 1 May 1897. James, Harriet's husband, had a violent temper and threatened to kill one of his sons [Frederick] who left Haslingfield and settled in the Hackney area of London'. Harriet and James' eldest surviving daughter, Selina Ann Coxall, who was born at Haslingfield in 1858, married William Sears there in 1879. Their wedding was witnessed by Isaac Hardman and Elizabeth Morris (Selina's cousin). She and William lived first with his parents at Watford in Hertfordshire and then at Harrow in Middlesex where William worked as a painter and carpenter. They had eight children including Ada Selina Coxall Sears who married Francis James Gregory (1876-1934) at Harrow in 1899. Selina's younger sister, Isobel Coxall (1866-1948) married a farmer's son Albert Lacey Warner (1865-1917) at Tottenham in London in 1885. 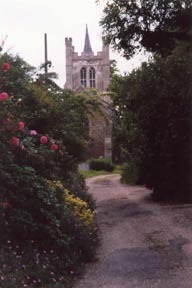 The couple lived with Albert's family in his home county of Norfolk after their marrige and had five children we are aware of. A third sister, Kate Coxall, married Thomas Henry Gaylard (1861-1930), the son of Thomas Gaylard and Ruth Ann Ellen May of Plymouth in Devon, at Chelsea in London in 1889. They had three children including Bertram William Gaylard (1894-1917) who died on active service on 5 July 1917 while serving as a LCpl in the London Regiment (Prince of Wales Own Civil Service Rifles). His parents were then living at 16 Northfield Ave West Ealing in London. Harriet and James' oldest surviving son, Walter Edward Coxall (1871-1955), worked as a schoolteacher and married Anne Alice Silk (1867-1957), the daughter of John Charles Silk and Sarah Ann Kefford, at Hackney South in London in 1895. 'Willie', as Walter was known as, and Anne had one daughter we are aware of: Vera Irene Gwendoline Coxall who was born at Hackney in 1896 and, sadly, died there in 1923. According to Douglas Coxall's Coxall Family History from 47 to 1992, Walter's younger brother, Frederick James Coxall (1874-1935), 'ran away from home at the age of 14. He arrived in Islington in London where he worked [initially] as a ship fitter and later at Wenlock Brewery'. Ancestry's London parishes database shows that Frederick, who was then working as a labourer, married Elizabeth Ann Venneear (1870-1938) at St John the Baptist Church in Islington on 19 December 1896. Elizabeth was the daughter of John Daniel Venneear. The wedding was witnessed by Samuel Morris and Adelaide Wright. Frederick and Elizabeth had at least four children and, according to Douglas Coxall, 'two and possibly three of his descendants emigrated to New South Wales and South Australia'. Carol Burrows tells us that Harriet and James' youngest son, Arthur Coxall (1876-1953), married Rosetta Nelson from Histon in Cambridgeshire, at Haslingfield at the turn of the century. She continues that they had three daughters: Elsie Evelyn Beatrice Coxall (1900-1989) who married Jesse Coe at Haslingfield in 1928; Hilda Irene Gwendoline Coxall (1902-1985) who married William Henry Doe at Haslingfield in 1928; and Ivy Doreen Annie Coxall (1905-81). Born at Haslingfield in 1837, Sarah Free married Phillip Morris at Little Eversden in 1857. The Gibson Family Tree on Ancestry.com has Philip's parents as John Morris (1798-1882) and Sarah Pink (1800-97). The UK censuses and other data show that Sarah and Phillip lived at Haslingfield after her marriage and had nine children there prior to Phillip's death in 1877. The widowed Sarah remained at Haslingfield, working as a charwoman until her death in around 1909. While some of Sarah and Phillip's children continued to live and work at or near Haslingfield, others including her sons Thomas and Samuel Free Morris moved to London where they worked as a drayman and labourer respectively. The 1891 census shows them boarding at Shoreditch with their older sister Elizabeth, who had married William Perry at Bethnal Green in London in 1885. Elizabeth died in 1896, she and William had at least four sons, all born in London: two William James, George Frederick and Thomas Perry. The King-Hubbard Family Tree on Ancestry.com tells us that George Frederick Perry married Maud Sarah Pain (1894-1980) at Hoxton St John on 27 September 1914. They had one son George William Perry (1920-79). Elizabeth's younger sister, Jane Morris (1862-1931) was working as a domestic servant in London at the time of the 1881 census. Ancestry's London Marriages database shows that she married Charles Hones (1860-1900), the son of Wyont Hones and Maria Ivett from Haslingfield, at Shoreditch in London in April 1890. It seems that Jane and Charles, who worked as a labourer and drayman, continued to live in London after their marriage and had at least two children there - Alice Frances and Charles Hones jnr - before Charles snr's death in 1900 (Jane died at Hoxton in 1931). Ancestry's database shows that Jane and Charles' daughter Alice had been baptised at St John's Church in Hoxton on 15 February 1891 and that she married Edmund William Adlam (1892-1938), a 28 year-old soldier and son of Walter Joseph Adlam, printer, at St John's on 1 September 1918 (we think that Edmund's mother was Emma Ellen Colston). The Catherine House Index shows that Alice died in the Epping registration district of Essex in 1961. Her brother Charles Hones married Ethel Louisa Mocock, the daughter of James William Mocock (deceased miner), at St John's Church in Hoxton on 26 January 1913. The wedding was witnessed by Thomas Martin and Alice Hones. In April 1916, Charles enlisted in the British Army. He was then a brewery worker living at 20 Grange Street in Hoxton. His military record shows that his NOK was his wife Ethel Louisa and that he had a son, Edgar Charles Hones, born at Stockwell on 30 December 1913. Charles served in the 16th Rifle Brigade rising to the rank of L/Cpl. He was admitted to The Northern General Hospital in Lincoln on 5 June 1917 as the result of a GSW to the left buttock. After being discharged from hospital he was posted to the Command Depot at Ballyvonare in County Cork in Ireland. There, the record continues, he was reduced to the ranks for misconduct and sent back to France on 17 June 1918. At War's end, he transferred to the peacetime Army, serving from September 1919 to March 1920. Born at Haslingfield in 1839, Ann married Daniel Coxall, the son of William Coxall, there in 1859. Ann was then 19 and Daniel 20. The marriage was witnessed by Phillip Morris and Ann Wilmott. The married couple initially lived on Barton Road in Haslingfield where Daniel worked as a foreman at the local caprolite mine. In 1871 they had living with them Daniel's father, William Coxall a 73 year-old widower and agricultural labourer, their five year-old niece Alice Claydon, and three lodgers. By the time of the 1881 they had moved to Little Bolton in Lancashire (where Fanny Morris the daughter of Ann's sister Sarah was also working). I haven't as yet been able to find them after this. Alice married Thomas Oakey (1840-1924) at Haslingfield in 1860. The censuses indicate that the couple, who had no children, may have lived for a time at Chrishall in Essex (where Thomas worked as a farm bailiff). They were back in Haslingfield by 1891 where Thomas had either purchased or was running Quarry Farm. By this time they had living with them an orphan girl, Alice Collins, who had been born in London in 1881. Samuel and Mary's youngest daughter, Mary Ann Free, was twice married. Her first husband was probably Josiah Claydon who she married in 1865 and with whom she had three children before his death in Essex in 1871. The UK censuses show that one of their sons, William Claydon, served as a private soldier in the 3rd Dragoon Guards. In 1874 Mary Ann re-married, to Isaac Hardman, a goods porter and caprolite miner who had been born at Barrington in Cambridgeshire. At the time of the 1881 census, Isaac and Mary Ann were living at 100 Leicester Street in Little Bolton in Lancashire. They had with them Mary's daughter by her first marriage, Alice Claydon, and three of their own children: Ann (3), Samuel (2) and Louisa (3m). One of their descendants, Dave Hogue from Newberg in Oregon in the United States, tells us that the family emigrated to Canada in 1890 and farmed at Purple Valley in the province of Ontario. The 1901 Canadian census shows Mary and Isaac (pictured in the photo on the right) living at Albamarle in the Bruce (north) district of Ontario. 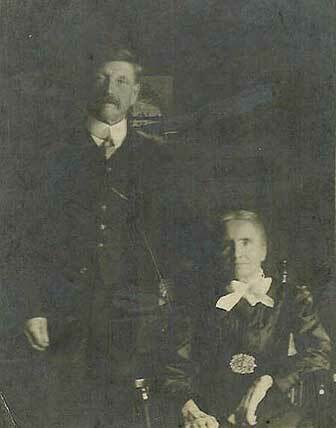 Also present were two of their children: Samuel (21) and Eleanor (18).Their other daughter, Louisa Hardman, had married David Hogg (later Hogue) at Lion's Head in Ontario on 19 July 1898. By the time of the 1911 census, Mary and Isaac and their two unmarried children had moved to Toronto. Mary Ann died at Toronto in Ontario on 25 November 1913, aged 70 years. Dave tells us her 'funeral service was at Holy Trinity Episcopal Church in Wiarton, Ontario and she was buried at Colpoys cemetery which is on a hill above Colpoys Bay in Ontario'. Dave continues that his grandparents David (Dave) and Louisa Hogue nee Hardman had four children: Annette (Nettie), Mary Louisa (Louie), Leslie David, and Wilfred Earl (Tip) Hogue (Dave's father). Dave Hogue snr worked for a time with the Canadian National Railways before becoming a cement contractor. With the onset of the First World War, he joined the 49th Battalion of the Alberta Regiment on 14 January 1915 ('just ten days after the 49th began recruiting'). He died in Kent in England of stomach cancer on 6 November 1915, three days before his battalion left for France. The family now wonder whether he knew he was dying and had joined up to ensure his wife would receive a service pension. Louisa's sisters, Ann and Eleanor (Nellie) Hardman, married respectively Samuel Barnard Spragge and Valentine Albright. Val also joined the Canadian Expeditionary Force, lying about his age in order to get in. After the war, Dave continues, 'uncle Val relocated to Vancouver, Washington and worked at the Swift plant in North Portland, Oregon. One of the ironies of life is that my maternal grandfather transferred to the Swift plant in 1909 and worked there until he went to work for the shipyard in 1942...I doubt he met uncle Val. I met him and aunt Nelly in the late 40's, when they came to visit aunt Louie. He had been long retired and they lived in Ocean Park, Washington where he died in 1952. Aunt Nellie died there in 1949'. After the war Louisa Hogue nee Hardman sold her Canadian holdings and moved, with her four children, to Portland in the United States so that she could be near her beloved sister Nellie. She died there in 1932. Her grandson recalls with affection: 'If you look at a picture of my grandmother Louisa you think she is real dignified, while she was really down to earth. There were water fights that were usually started by her. The water fights involved all her children and there were no holds barred. [My father] Tip loved them'. Haslingfield parish church and gravestone both from private collection. 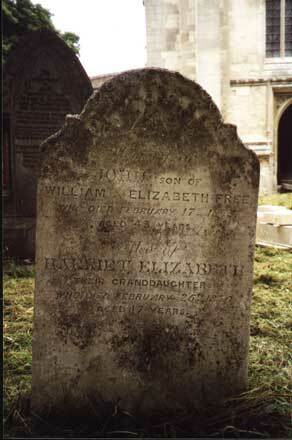 Note that the gravestone is of John Free (1831-1875), the youngest son of Samuel's brother William Free (1788-1855) and his wife Elizabeth Higler (1790-1854), and John's seventeen year-old niece Harriet Elizabeth Free, the daughter of William and Elizabeth's youngest daughter Ann Free. Isaac and Mary Ann Hardman nee Claydon nee Free, courtesy of Dave Hogue.